Adam Hyde is a sound and radio artist from New Zealand, and CEO of Floss Manuals - Free Manuals for Free Software. He is the co-founder with Honro Harger of r a d i o q u a l i a sound and media art collective. Patrice Riemens (born 1950) is a geographer and currently the Fellow of the Waag Society in Amsterdam. 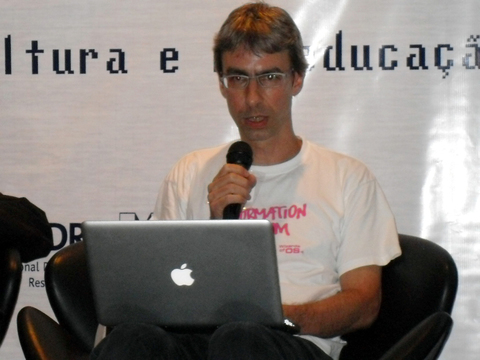 He is a promoter of Open Knowledge and Free Software, and has been involved as a "FLOSSopher" (a 'philosopher' of the Free/Libre and Open Source Software movements) at the Asia Source and Africa Source camps, held in 2005 and 2006 to promote FLOSS among non-governmental organisations. He is a member of the staff of Multitudes. Media sociologist and author. Currently he is a visiting reasearcher at the Research Group on Public Policy for Access to Information (GPOPAI) at the School for Arts, Sciences and Humanities (EACH) of the University of São Paulo. He was project lead of the conference series Wizards-of-OS.org and of the copyright information portal iRights.info, co-founded mikro-berlin.org and privatkopie.net and has published among others: ?Freie Software zwischen Privat- und Gemeineigentum,? Bundeszentrale für politische Bildung, Bonn 2002. 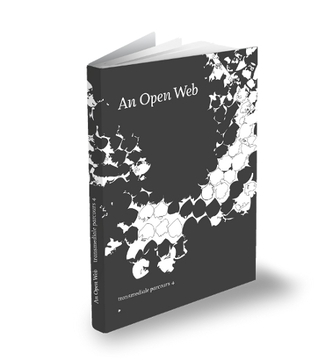 January 28, 2011 - Berlin - Today the book, An Open Web, is released for download and sale on the Web. Written in 5 days by 6 collaborators, An Open Web book sprint lead and Flossmanuals founder Adam Hyde said, "Zero to book in 5 days. It was an intensive process and loads of fun. The collaborators met 9am Monday with no more text written than the title and 5 days later published the book." Software has, over the last few years, increasingly come into view as a cultural technique whose social and political impact ought to be studied carefully. To the extent that social processes rely on software for their execution - from systems of e-government and net-based education, online banking and shopping, to the organisation of social groups and movements -, it is necessary to understand the procedural specificities of the computer programmes employed, and the cultural and political 'rules' coded into them. The four-day conference on the campus of the Universidade Estadual de Campinas (Unicamp) brought together many key persons from the tactical media movement of Brazil and some of their counterparts in the Brasilian government. The movement is converging from roots in free radio, free software, hardware hacking, art and social movements. It is currently focussed around a large-scale project master-minded by Claudio Prado and supported by the Ministry of Culture: ?Pontos de Cultura? (Culture Spots) which is aiming to empower up to 600 cultural projects with free software-based multimedia production and publication facilities. 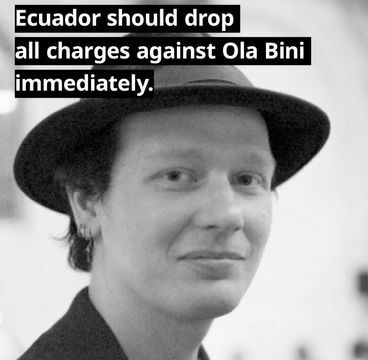 Motivated by the theories of Richard Stallman, Lawrence Lessig, Geert Lovink and David Garcia, Brazilian Internet users, activists and artists are, more and more, developing attractive activism and tactical media projects. In early June 2004 a digital culture event was be held in Vienna to examine the theories and practices for making new cultures of access viable. The World Social Forum, organized twice in Porto Alegre 2001 and 2002, not only prompted a flurry of autonomous self-organization, crossborder organization, and creative media interventions. It also initiated an intense process of analysis and reflection on the tricky question of a 'global' dynamic of self-organization. This essay provides a short and insightful overview of alternative television projects in the Italy of Berlusconi.